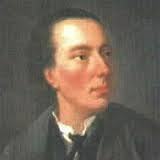 Charles Avison (16 February 1709 (baptized) � 9 or 10 May 1770) was an English composer during the Baroque and Classical periods. He was a church organist at St John The Baptist Church in Newcastle and at St. Nicholas's Church (later Cathedral). He is best remembered for his 12 Concerti Grossi after Scarlatti and his Essay on Musical Expression, the first music criticism published in English.